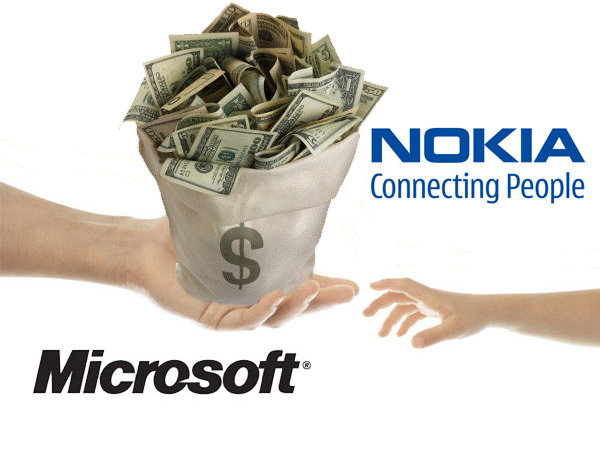 aS –featured: Why should the Microsoft-Nokia deal worry Samsung? One who reads, writes. As promised, We keep bringing to you 'aS featured' where we publish select ‘arbit speculations’ submitted by our readers to us. The article featured below has been written by Mr. Sushil Malani, a product marketing professional, currently working with one of the leading telecom companies of India. This article will be followed by some more from the same author on connected topics in future aS-features. Disclaimer: The Views expressed here are personal and do not represent the POV of any particular company or team arbitSpecs. One more giant fell in the quest to shape future of digitized, connected and mobile world. Nokia respectfully succumbed to the vortex of power struggle for operating system dominance. It’s Interesting to witness 3 players left to lead the future. And this F1 race is entering into the last lap. Who has taken pole position and has an advantage? Over whom? Who will win? Would there be any other player, ready to emerge from the dark? What are the side effects? What is the future going to look like? Let’s get back to present. So there is Apple, Google and there is Microsoft. At least so far Late Steve Jobs’ business model-product vision-wise seems to have won the 1st pole position. All including Google and Microsoft have followed the steps of the Apple. They realized compelling software/OS need even more supportive hardware. Sound mind needs sound body and sound body needs sound mind to control it. So does Android need a nexus or Motorola; and Windows, Nokia. But then what happened to the other original mobile companies- Black berry and Nokia’s own Symbian? First and foremost reason for the soup they are in: non-creation of a sustainable eco-system. And caught unaware! The cheese had been moved. They forgot, or rather failed to realize that it is not just a phone their OS was running but a moving computing device, an app store, an ultimate connecting device & a friggin’ digital identity which was by the way, being used for voice calling! Detour alert. Let’s get back. Let us think once again what is not being done. No break through R&D. Majorly it is reverse engineering - Achieving price advantage either through superior cost efficiency in manufacturing or keeping quality parameters at slightly below par levels plus widening distribution and gaining economy of scale. The bigger known international brands like Sony, LG, HTC etc. add some R&D in bits and pieces, notch up some more quality parameters and try to increase market share. Fair, but not enough Core R&D is there, which can portray long term product vision or a quest of orbit-shifting breakthroughs. Then how has Samsung succeeded so far? I’d say, good think tank and good deals at the right time. As the adage goes, “You are known by the company you keep.” It could be their early and deeper association with apple for their out-sourcing requirements and adopting competing OS android. Post that their R&D in chunks provided some interesting outputs. One could say that their success so far was the need for its OS partner, Google’s android. But now with Motorola in the pocket I doubt Google’s kit-kat Android (and future sweeter dishes) will like to be slave of OEMs as mighty as Samsung. At the same time Samsung will like to hedge its risk by putting some eggs in the basket named Windows too. Which leads us to one last observation in this post; Samsung will also face the same music some day or the other. Currently It’s all hay day for Samsung but certainly relying on Google (and even Microsoft, for that matter), will put certain limitations on it. Of course, the degree of reliance varies in time and space and that could be the only difference that will matter. With current strategies, Samsung doesn’t look like a marathon runner, but a sprinter like other past champion OEMs. The real race still remains amid Apple, Google and Microsoft, unless Samsung thinks of something real magical, to say the least. Today Nokia has been incinerated in the flames of OS dominance struggle. It’s just the beginning. My next article in this series will be dedicated to the product-philosophical traits of Android, Windows and iOS and how possibly it could shape the future. First of all I would like you to be very diligent with the names. The mobile OS from Microsoft is called Windows Phone, not merely Windows. Apart from that, very interesting read, and I am definitely looking forward to the next article. An addition to my last point. Although I am a Nokia backer all the way, I believe that Samsung has been very very smart all along. As you have to tried to underline, it's the reliance on another entity that could put hurdles in the path of an OEM, it is for this reason that Samsung is working on an OS it has a degree of control upon - Tizen. Asiman agree with your point Samsung is smart company. it started thinking about its own OS. But OS within itself is not enough. It needs appropriate ecosystem in the connected world. My view on OS:: going forward there is no more windows phone or other OS specific to mobile. It will be all the way just OS for the device of various screen size.